Chinese New Year is on February 19th. If you are planning on sending a present to mark the start of the Year of the Goat, remember any international delivery to China will have to pass through Chinese customs and comply with China’s rigorous clearance regulations.International couriers ParcelHero has issued its Three Top tips to avoid Customs clearance delays. 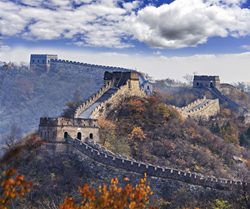 With more trade than ever between the UK, the US and China, it’s well worth being aware that Chinese Customs authorities are renowned for being extremely thorough and notoriously strict. The Customs Invoice or Customs Document is a crucial part of the customs clearance process for parcels to China. Customs Invoices should detail the items you are sending, their individual value and the reason you are sending them. The biggest mistake senders can make is to not list each item on the Customs Invoice. ParcelHero’s Head of Public Relations, David Jinks, says: ‘Many people will simply declare the contents of their parcel using one word, such as “Gift”. They are unaware that Chinese Customs need more information about what is actually being shipped. When information is missing from the invoice it causes clearance delays. It’s important to remember that Customs are a government authority and their rules are final and not negotiable. Chinese Customs authorities will contact your receiver as part of the Customs clearance process when you send a parcel to China. This is a standard clearance protocol as China has extensive import regulations. The receiver or recipient of your parcel may be required to provide additional information to Chinese Customs. This could be an import licence, or confirmation of the reason for import. Therefore it’s extremely important that you provide a valid telephone number and email address for your receiver in China when you book your parcel online. If customs are unable to contact your receiver then they will not be able to clear the goods for delivery. If you are sending from the UK to China ParcelHero currently offers a rate of £27.85 (31% cheaper than the Post Office), £53.93 for a 10kg parcel (58% cheaper than the Post Office) and £102.72 for a 30kg parcel, saving 55% (£144.93) against the Post Office.